I’m in Hawaii for a few precious nights to point the Keck telescope – one of the largest in the world – at dwarf planet Eris – one of the largest in the solar system. A week ago I would have just said “the largest in the solar system,” but as of last weekend I’m less sure. The news that Pluto might indeed remain the largest dwarf planet is big, and, even though it will have no impact on the well-settled question of whether Pluto is a planet or not (still: no), it should make fans of the former planet smile a little bit. At least until they remember that Eris is substantially more massive, and in a head-on collision Pluto would suffer the brunt of the damage. To me, though, Eris has suddenly become substantially more interesting than it was a week ago. I will admit to you a somewhat embarrassing secret of mine: when I go around the world giving scientific talks about all the exciting scientific insights coming from the new discoveries of the dwarf planets, I often spend almost no time on Eris itself. I talk about the strange orbit of Sedna, the rapid rotation and collisional family of Haumea, and the irradiated surface of Makemake. But when it comes to Eris there has not been much more to say than “Yeah, it has a surface composition like Pluto and is a little bigger and more massive than Pluto, but, basically, it is a ever-so-slightly-larger Pluto twin.” Scientifically, finding a twin of Pluto doesn’t teach you much new, except that whatever made Pluto did it twice. Good to know, but not a huge scientific insight. Now it seems that Eris is far from being a Pluto twin. The only plausible way for Pluto and Eris to be essentially the same size but for Eris to be 27% more massive is if Eris contains substantially more rock in its interior than Pluto. In fact, the amount of extra rock that Eris contains is about equal to the mass of the entire asteroid belt put together. That counts as a pretty big difference. Now, crazy dwarf planet, what are you trying to tell us? First, why is this difference in composition so surprising? It’s because Pluto and Eris should be identical. Here’s the standard scenario: About 4.5 billion years ago, the outer solar system was a swirling cloud of ice and rocky dust. Over time the ice and rock began sticking together to make small bodies, which in turn grew to bigger and bigger bodies until things the size of Pluto and Eris finally formed. Making Pluto or Eris requires sweeping up so much material from around the ice and dust cloud that any small local variations should be averaged out. Even if some of the smaller objects that initially coagulated differed from each other in composition, by the time objects got to the size of Pluto or Eris they would all be more or less the same. This scenario even had good evidence to support it. For years, the only two icy objects known in the outer solar system were Pluto and the much larger Triton, the moon of Neptune which is thought to be a captured Kuiper belt object. When the masses and sizes of these two objects were finally measured and their densities and interior compositions computed it was realized that, as predicted, they are indeed nearly identical. Entire theories were constructed out of the fact that Pluto and Triton gave us the most pristine measurement of the composition of the entire early cloud of ice and gas and dust that led to the whole solar system and planets and life. The only thing left to do was to book the flight to Stockholm. Things started getting a little more confusing about 5 years ago as we finally were able to start to measure the interior compositions of some of the newly discovered Kuiper belt objects. Eris, one of the early measurements, was, at least, consistent with having the same composition as Pluto and Triton (and thus we assumed that it probably did, because, well, that just made sense), but then there were objects like Haumea which is mostly rock with a thin layer of ice, and small Kuiper belt objects made almost entirely of ice, and a new measurement of Charon showing it has more ice than Pluto, and the word this summer that Quaoar has essentially no ice in it whatsoever. Orcus, just to keep things interesting, is somewhere in the middle. Interiors of all Kuiper belt objects with known densities. Yellow/brown is rock, blue is ice. Objects range from 100% ice to 100% with everything in between. The largest object is Triton, the next two are Pluto and Eris. The elongated body is, of course, Haumea. Quaoar, Charon, Orcus, and smaller objects also appear. Truly, the dwarf planets are crazy. So Eris is not the only crazy dwarf planet. They all are. I have absolutely no faith that any dwarf planet out there gives you a confident measure of what the early solar system was like. They are all thoroughly different. How could this possibly be? No answer is immediately obvious, but it is immediately obvious that one or more of the assumptions of the standard scenario are going to have to be discarded. Earlier this summer I had constructed a new hypothesis that did an adequate (though, frustratingly not great) job of explaining some of the crazy variability in the Kuiper belt as being due to a random series of giant collisions which knocked the ice off of some objects, leaving just the rocky cores. I gave a couple of talks on the hypothesis, and even wrote the first draft of a scientific paper describing the details. But I fear now that the draft is going to have to go to the recycle bin. Even in my hypothesis once things grow to a certain size they should be more or less the same. Eris and Pluto are just too big to be different. So what happened instead? Did they form in different places? In different solar systems? Did Eris spend time close to the sun? None of these hypotheses is immediately appealing, but somewhere in there there must be a kernel of what really happened. Pluto and Eris and all of the rest of the dwarf planets must have a widely divergent set of histories of formation or evolution or interaction or all of the above. And, so, in just a week, Eris has gone from not really teaching us much new about the solar system to potentially demanding that we throw out some of our most cherished assumptions. Eris, goddess of discord and strife, indeed. These two nights studying Eris at the Keck telescope are not turning out to be terribly effective. Clouds, instrument problems, and, now, fog. But we’ll be back. We’ve now got an entire solar system to figure out, and Eris might just be that puzzle piece that someday makes all of it finally make sense. update: So is Pluto a planet after all? 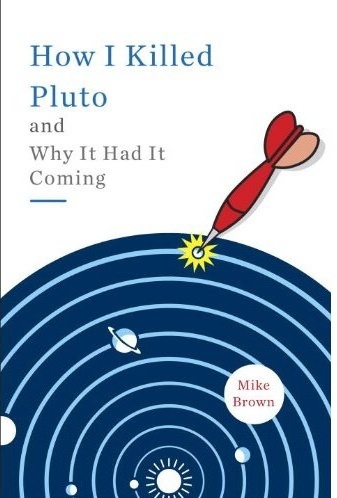 When you write your follow-up to "How I Killed Pluto And Why It Had It Coming", you could call it "The Dwarfs Must Be Crazy and How I Didn't See It Coming". Could make a good film title, too. Question: Is there any possibility that the Kuiper Belt Objects could contain iron? Are we just assuming they're made of rock and ice, or is there some way to directly measure the composition? Bob: yeah, there is probably iron in there two. I don't tend to talk about it separately, because PROBABLY it is not separated out, as it is on the earth and terrestrial planets. But that assumes, you know, that we actually know something, which is increasingly unclear these days! Could a nearby supernova early in the SS's history caused the ices to boil off the KBOs on that half of the solar system? It would also be interesting to see a dynamical study video that showed the starting points and ending points for various populations of planetesimals. For example, what percentage of KBOs formed "in place" vs being pushed out of the solar system? Of the ones pushed out, how many came from within different ice lines, like water, CO2, and methane? Is it possible that some of the rockier bodies could be refugees from the asteroid belt? Maybe they were flung into the outer system out by gravitational interaction with Jupiter? Or maybe a lot of rocky planetesimals got thrown out there while the planets were forming? Is it possible that the variation has something to do with when/where these objects formed? Our solar system hasn't always been in the same location in the galaxy. Could these objects' orbits combined with passing through intergalactic material of varying densities explain the lack of consistency? Why are you saying the debate over these objects' planet status is settled when it clearly is not? If you look at all the books and articles out on this subject, they show a clear division among scientists. For example, the book "Pluto Confidential" is by two authors who each take different sides. Neil de Grasse Tyson in his Nova episode of "The Pluto Files" also says the debate continues. Isn't it premature to say it's settled, just like it was premature to say Eris was bigger than Pluto? Richard -- You are describing the general approach we are using to try to figure all of this out! Constantine -- The rocky guys might indeed be from the asteroid belt, but I think it would be awfully weird that the stuff flung out includes so many things bigger than anything left in the asteroid belt now. RK -- Try email; I only get snail occasionally. The name "How I Killed Pluto and Why It Had It Coming" came from some students at Loyola Marymount University after I gave a talk there (called something like "Eris, Pluto, and the Dwarf planets of the outer solar system"). They came up to me and said "wow, that was a great talk, too bad all of my friends didn't come." And I said "Why didn't they come?" And one of them said well, EVERYONE would come if it were called something like "How I Killed Pluto and Why It Had It Coming." The name has stuck since. Anon -- I don't **think** so. They all likely formed more or less at the same time, and even though the orbits are somewhat different, they see more or less the same galactic environment through time. Ravencrow -- If you talk to astronomers around the world the vast majority will tell you that Pluto is not a planet and it's good that we fixed a mistake. As with any decision, there will always be a few holdouts. And, as with any decision that was controversial, the tiny minority of holdouts will get equal or more press, because press loves controversy. "I don't **think** so. They all likely formed more or less at the same time, and even though the orbits are somewhat different, they see more or less the same galactic environment through time." Ah, okay. I just thought our solar system could be accreting material from its orbit through the galaxy in the same way that planets accrete material in there orbits through the solar system. I just don't have the background to know whether its silly to think there's dwarf planet-sized objects out there waiting to get picked up by the gravity of a passing solar system. Hope I didn't distract ya from your work. "I gave a couple of talks on the hypothesis, and even wrote the first draft of a scientific paper describing the details. But I fear now that the draft is going to have to go to the recycle bin." How warm would these dwarf planets have been early in the solar system? Would they have had liquid water inside? I'm wondering because uranium would have been highly enriched in 235U back at the formation of the solar system (most has since decayed away), and if processes inside the bodies could have concentrated uranium there could have been natural nuclear reactors being formed. Get enough heat and maybe much of the water would be boiled off? What is Eris' new albedo? It has been going up and up ever since it was discovered; if this trend continues it will be self-illuminated! I don't think it will, though, Pluto stopped shrinking. I just posted my reply to the last post here (been away from the 'net for a little) and when I went back to my e-mail account this new post was here. Now the lack of gambling money really hurts, because I'm willing to bet that Haumea will also turn out to be even denser than you thought, something I've said before. The ice layer might not even fit on the scale you used in the illustration. I'm glad to see some observational movement on the subject of the outer Solar system. A few years ago I looked in 'net available data for something else near Eris, but there was nothing but a star. Where is Eris' equivalent of Pluto's Nix and Hydra? Haumea's equivalent would be Hi'iaka and Namaka if it were a contact binary (I don't think so since the precursors would have been within each other's Roche limit). Explaining the astounding chaos in the Kuiper belt is probably explained by the title of a recent post: "There Is Something Out There". The devil is in the details. The new data will shake things up a little. I think I'm going to have to do like everybody else, think a little before posting. A long time ago I thought Triton might be made out of iron. That turned out to be incorrect. I wonder what else will turn out to be incorrect? But I'll feel a little sense of vindication if Haumea turns out to be the iron dwarf and it's possible for not only ice, but also some rock can disappear in some of these collisions. This is getting more interesting! 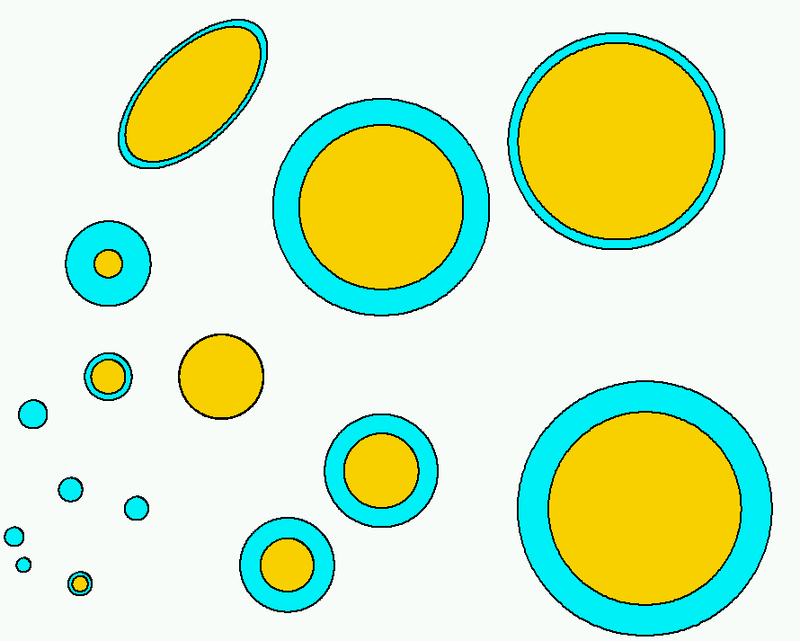 Looking at the bodies in your illustration, it appears that it is mostly the larger ones that contain rock, while the smaller ones tend to be the ice-only ones. I don't know whether this has any significance. Perhaps these are actually two different classes of body, with the larger ones being dwarf planets and the smaller ones being giant comets? Have there been any polls of astronomers done? Because it seems like a lot are questioning the IAU decision, especially now. Otherwise, how would you know it isn't more than a few astronomers who disagree? Neil de Grasse Tyson was so certain not only that these aren't planets but that the debate is over and now he's changed his mind, not about their planet status but about there still being a debate. Who would be more familiar with the views of astronomers on this than Tyson? And he has no bias toward Pluto, so that's not an issue. A naive question: Are not rock and ice the same thing out there? Ie water and silica are quite different in a terrestrial setting, but at near 0 K are they not both rock? Why the distinction (and where might ammonia and methane fit)? I think that Kuiper belt objects are ancient and formed in different zones of early solar system - some of them were formed in warmer, closer-to-Sun belt which was subsequently dispersed by Uranus/Neptune outward migration. They have more rocks. those which formed about at the same distance where they are today have much less rocks. Did the occultation help improve our estimates of Eris' orbital elements? When is the next likely occultation? And, in the case of a near miss, is there a reasonable chance of a Dysnomia occultation? I know I'm late to the party but can I ask, how does this relate to your initial albedo measurements, which suggested that for Eris to be smaller than Pluto it had to be 100 percent reflective? 1) There's something wrong with the occultation measurements. Eris is actually about 7% wider than Pluto, and has the same kind of composition and density as Pluto. This is possible, as we've only had the one occultation before, whereas evidence that Eris is significantly bigger than Pluto comes from its albedo and its thermal measurements collected over the past 5 years. However, this can be instantly falsified with another occultation. How much bigger than Pluto could Eris be using the biggest possible diameter allowed by the occultation? Is it anywhere near the necessary 7%? If it is, then the problem goes away. a) Random chance. Eris was hit by something big while in its present position in the spaced-out, gravitationally independent, slow-moving and far-out Scattered Kuiper Belt. I don't like this idea, because it invokes special pleading for Eris, Quaoar, Haumea, Pluto to create Charon and knock it sideways... a heck of a lot of dwarf planets. It's just too good to be true. b) If the Nice model is correct, the Kuiper Belt used to be much bigger, denser and came closer to the Sun, until the migrations of Uranus and Neptune pushed many outwards, stirred up their orbits, and left us with the lonely remaining ice dwarfs at the edge of the solar system. If the Kuiper Belt really did used to be much denser and closer to the Sun (and subject to the pertubations of migrating giant planets!) then chances of large collisions between dwarf planets go up significantly. This would explain why so many large dwarf planets (Haumea* and Quaoar for sure, Pluto to make Charon, and Eris if it really is small and dense) are made mostly of rock, and why so many small KBOs are made mostly of ice (they are collision remnants from the icy mantles of dwarf planets.) It's a little like the asteroids - some (think C-type asteroids) are primitive remnants of the formation of the solar system or planetesimals, whereas M and S type asteroids are fragments of collisions between larger, differentiated asteroids - M asteroids from their cores, S asteroids from their mantles. We expect the asteroid belt to have had many such collisions because it's dense (on a solar system scale anyway, despite being incredibly sparse compared to what we see in Star Wars or the video game Asteroids), contains many objects, is close to the Sun and therefore a small belt, and is stirred up by Jupiter's gravity. If the Kuiper belt used to be thicker, closer to the Sun, have many many more objects that were ejected, and was subject to the pertubations of more than one migrating gas giant, we have a recipe for collisions! If this happened to Eris I'd be willing to bet Dysnomia was a collisional fragment from its mantle and is therefore made of ice. Is Dysnomia made primarily of ice? *I think I've read somewhere Haumea's collision occured around one billion years ago - if so, I think we can allow at least one big collision in the recent past in the Kuiper Belt? Dross: Yes, at those temperatures ice and rock are both frozen solid, and Pluto's water ice is harder than steel is on Earth. However, ice and rock are still very very different in chemical composition and density. Denser KBOs are probably made of more rock than ice, because rock is much denser than ice - even at Kuiper Belt temperatures. There is a third possibility apart from collisions: Below say 700 km in diameter there is not enough rock to produce enough radiogenic heat to differentiate the body. For larger values the body will differentiate and have an ocean below an icy crust. The 2300-2700 km range may include a threshold diameter beyond which the radiogenic heat is large enough to produce an iceshelf overturn, leading to exposure of the ocean to space and thus to a massive loss of volatiles. For much larger bodies (not tidally heated) such as Callisto, the gravity is then large enough to prevent from full differentiation by keeping high pressure hot ices in the interior. So there may be an intermediate domain in size where radiogeny is large enough and gravity low enough to allow for differentiation-then-surface-overturn scenarios. @Joel, thank you for posting. I think large-scale radiogenic heating and turnover of the crust as you describe would probably result in an extended atmosphere, perhaps even filling up the object's Hill sphere. I don't think a lot of it might escape, but you might be right. If you don't mind I'll keep an open mind. Here's another possibility: if the KBO has a moon, then it seems that the volatiles would condense preferentially on the larger object, so it would grow at the expense of the smaller of the pair. This would be true of evaporation due to solar irradiation, also. We can't see Eris' moon, Dysnomia, very well because it's so far away. It's quite possible that Dysnomia is even darker than Charon and is large and massive and accounts for a larger percentage of the mass of the system than if they both had the same albedo. Radiogenic heating would affect the larger object more than the smaller object, the opposite of what solar heating would do. But radiogenic heating is vastly lower today that it was at the beginning of the solar system and the Sun is actually a little brighter. So we have a "tortise and hare" type situation. The places that are known by spacecraft flyby to have subsurface oceans, Europa and Enceladus being the primary (but not only) examples, are tidally heated rather than radiogenically heated, so there's a third heat source out there. The interplay of these factors IS very interesting, in my opinion. Well, I'm going to go ahead and post this, even though I've foun a logical fallacy, in the interest of getting more ideas out on the table. Maybe there's some fourth possibility we haven't thought of. To me it is quite amusing that you can sometimes do better with a 50cm telescope on the ground than with the HST or large submillimetric telescopes... By the way, we observed successfully this month an occultation from another of a transneptunian asteroid (2003AZ84), but with only one chord, so we can only give a lower limit for the diameter. Just finished your book....great choice of reader. Entertaining and informative. Particularly enjoyed the rotation of the equally fascinating experience of parenthood along with astronomy. Passing along to my two new grandsons' mothers (my daughters). Do you think the orbital angle of the bodies such as Eris might have some effect on the amount of time they are in contact with other materials orbiting on the more common solar plane? This might effect the composition. The more time the body spends in the common cloud of materials the more it would encounter and attract. Eris passes through the "normal" orbital plane only periodically. Just a thought. Perhaps you are not thinking "large" enough and missing what might have been a significant factor during the early stages of our Solar System as the orbits of the major planets stablized. Today, Uranus only has a couple of medium sized moons, but doesn't have any seriously big moons. Neptune only has one captured one with the rest rather insignificant. Perhaps in the theorized dance that the larger planets performed as they migrated to their present orbits, Uranus and Neptune suffered serious moon losses as their ability to hold on to a moon would be far less than Jupiter and Saturn. Of course the capture of Triton definitely cost Neptune its own compliment of decent sized moon, but it did get the biggest one out there in return so it's happy. Additionally I was reading that perhaps Triton was part of a double dwarf planet system (Triton - Eris) that upon passing near Neptune were brutally ripped apart with Neptune keeping Triton and flinging perhaps Eris far out to the fringes. In fact had Neptune's original moon system (assuming the theories of migration are correct) had a few medium sized moons perhaps like Uranus, the disruption from the capture of Triton would have rapidly destabilized their orbits and account for the other dwarf planets you've discovered. Of course since I'm totally guessing, I imagine as they migrated outward Uranus and Neptune had periods where they were "relatively speaking" much closer to each other than they are now. Perhaps there were some particularly close encounters, close enough to significantly increase the instability of both of their moon systems. Ultimately Neptune lost any significant moons save Triton, and Uranus lost whatever major sized moons it had and was left with only it's medium sized compliments of moons, including the shattered and reformed Miranda - a moon which is probably a good example of the dwarf planets further out that appear to have suffered major collisions. Anyway, I love reading about your work. Maybe one day you'll discover a now cold brown dwarf that orbits far out in the ort cloud which originally was responsible for the meteor bombardment in the early days of the Solar System, but once it cleared out its orbit that all stopped. The results of Makemake eclipsing a far star, are out. Turns out it's not round, but 1430 versus 1500 km across. I presume its not because its a fast spinning ellipsoid. So it likely looks like a potato, or rougher. Is it still a dwarf planet then? And how did it evade getting round? Dwarf planets are crazy, but shouldn't we also be looking inward for vulcanoids? They too could answer questions about our solar system. We also know little about much of the main asteroid belt (4 Pallas, 10 Hygiea, 31 Euphrosyne, etc.). So many regions of the solar system to explore!